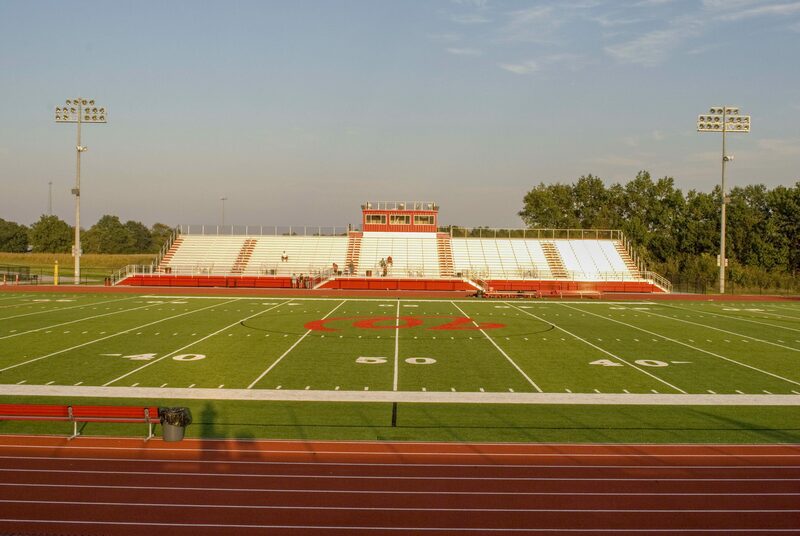 Winfield High School has been utilizing an outdated football/soccer facility quite some distance from the existing campus and was in need of a new on-site athletic facility. 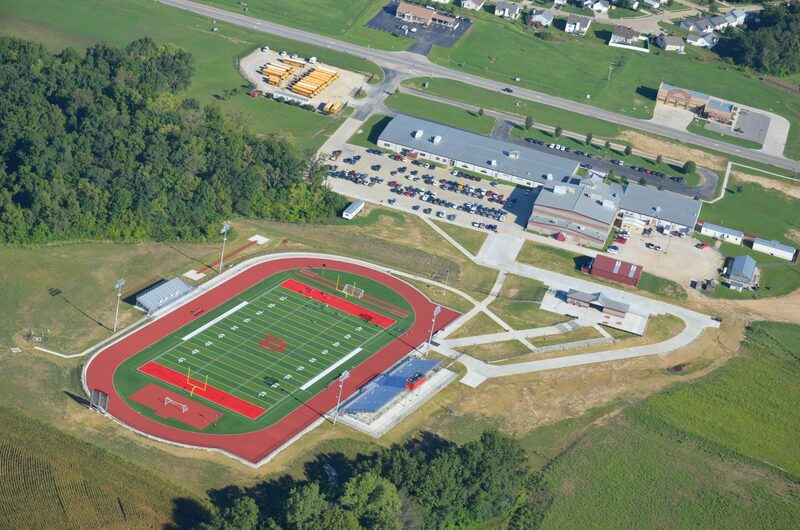 TR,i designed the new Athletic Facility adjacent to the High School allowing for the use of the existing parking lots. 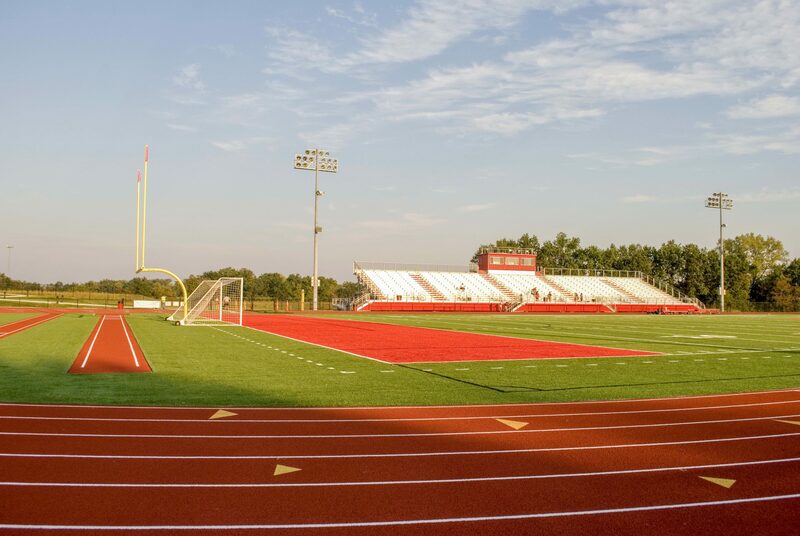 The new synthetic turf field accommodates both the football and soccer programs while a competition track allows Winfield School District to hold track and field events, for the first time in several years. 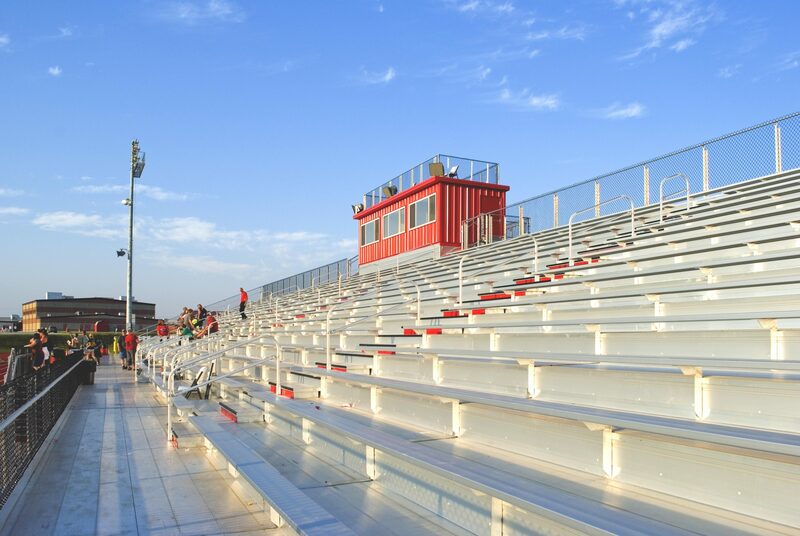 Seating for 2,000 spectators is provided along with a press box with a camera deck. 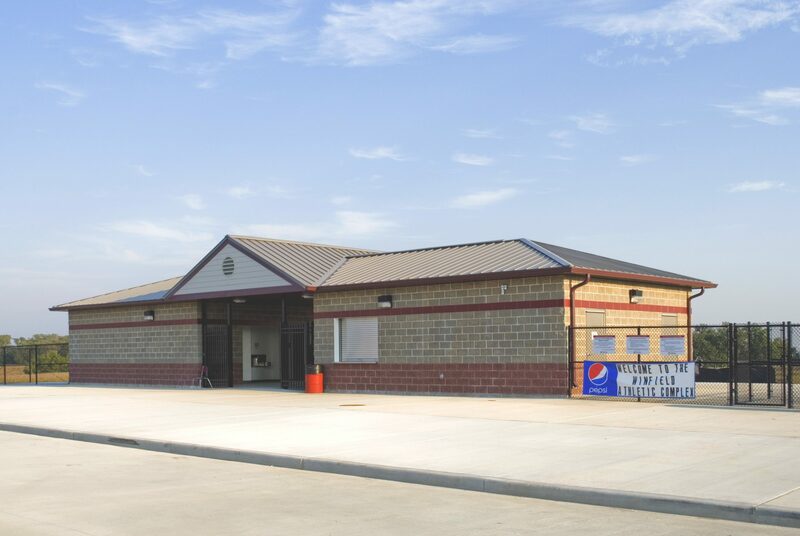 A concessions building with a ticket room, a referee’s room, and toilet facilities provides an entrance plaza to the new Athletic Facility. Preliminary planning and construction pre-investment has been included for future baseball and softball fields. 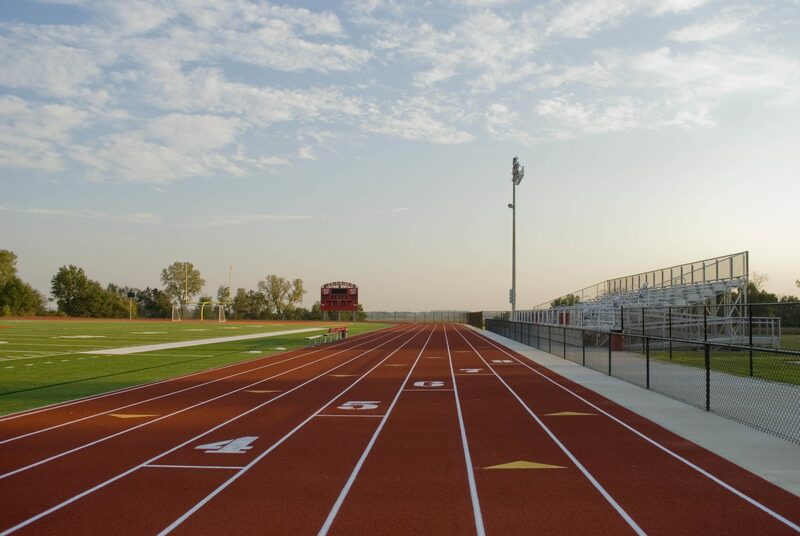 This facility should serve Winfield R-IV School District for several years to come.